« Happy International Day of Happiness! If you ever have those days when you just want to throw everything in one pan and end up with a delicious, filling meal, this is a good recipe to go to! 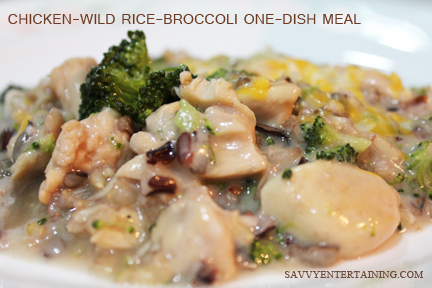 If you don’t have left-over rice (and white or brown would work fine) go ahead and get your wild rice cooking, following the package directions. Mine said to cook for 45 minutes. 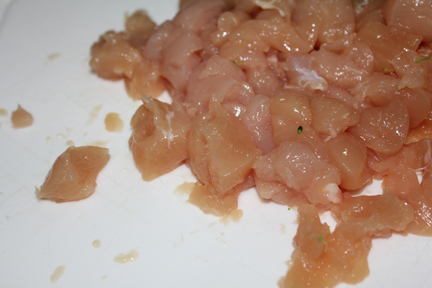 While the rice is doing its thing, cut the chicken into bite-sized pieces, trimming off any fat. 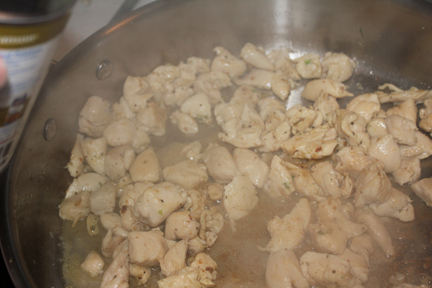 Add a little oil to the bottom of a large skillet and let it heat, then add chicken. Cook chicken until the outside is no longer pink. Add in chicken broth. 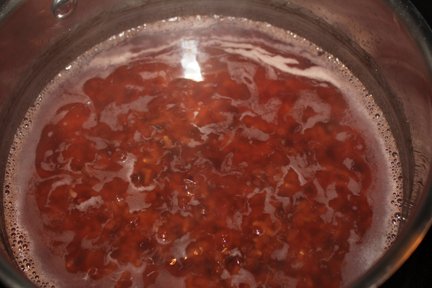 Cover and let simmer on medium heat for about twelve minutes. 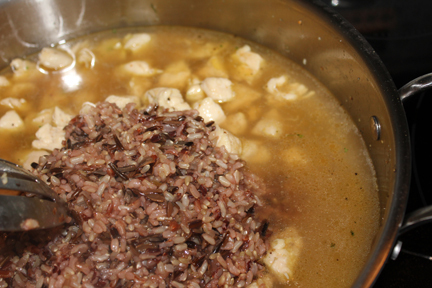 Once rice is cooked, drain then add to chicken. 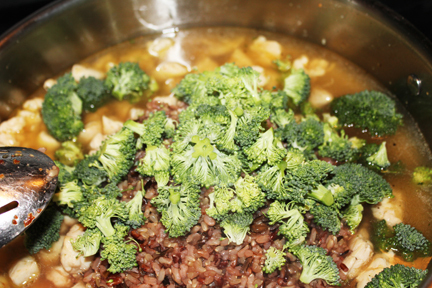 Add broccoli and let it simmer until your preferred doneness (about five minutes is how we like it). Stir in the can of cream of mushroom soup. Turn off heat, cover and let soup blend in for just a minute or two. Serve – and you can top it with a little shredded cheese, if you like. If you don’t have leftover rice, cook it according to package directions. 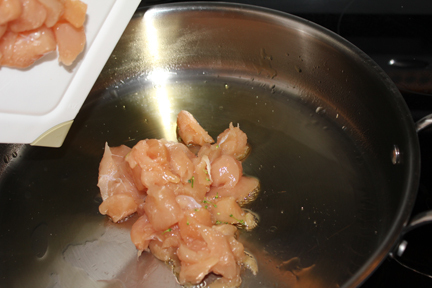 While it is cooking, cut chicken into bite-sized pieces, trimming off any fat. Heat about a tablespoon of oil in a large heavy skillet over medium heat. Add chicken and cook until it is no longer pink. Pour in 1 cup of chicken broth, cover and let simmer for about 12 minutes. By now, your rice should be done. 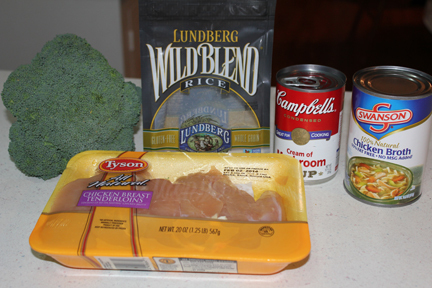 Drain and add to the chicken, along with the broccoli. 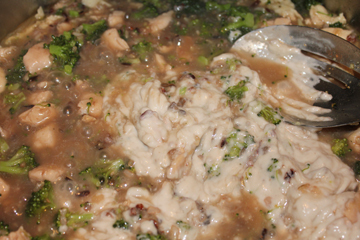 Mix with the chicken, cover and let simmer about five minutes. Turn off heat then spoon in cream of mushroom soup, blending well. Cover and let sit just a minute to make sure soup is heated throughout then serve. We like to sprinkle a little cheese (cheddar or colby-jack) on top of ours. 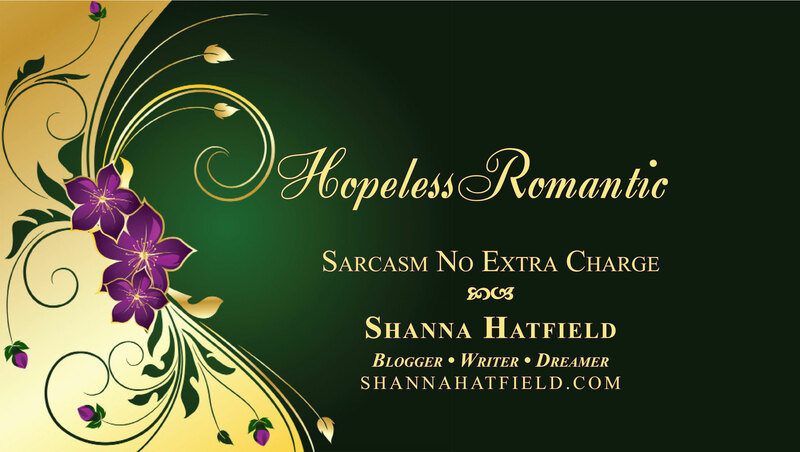 The best part about this is that clean-up is a snap.